Yasmin was approved by the U.S Food & Drug Administration (FDA) in 2001, and was the first drospirenone-containing birth control pill cleared by the agency. By 2006, Yasmin had captured 17% of the global market for oral contraceptives. Yasmin is a combination oral contraceptive (COC) that is currently indicated to prevent pregnancy. The medication was initially marketed by Berlex Laboratories, which was acquired by Bayer AG in 2006. A 28-day cycle of Yasmin consists of 21 active pills and 7 that are inactive. Active Yasmin pills each contain 3-mg of drospirenone, a synthetic progesterone, and 0.03-mg ethinyl estradiol. These hormones work to disrupt a woman’s normal menstrual cycle by preventing egg maturation and suppressing ovulation. They also prevent a fertilized egg from implanting in the uterus, and promote the thickening of cervical mucus in order to form a physical barrier to sperm. Yasmin is very similar to Yaz, another birth control pill marketed by Bayer. While both contain 3-mg of drospirenone, active Yaz pills only contain 0.02-mg of ethinyl estradiol. 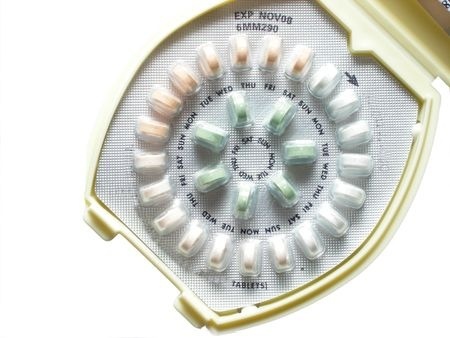 In 2012, the FDA ordered label modifications for Yasmin and other drospirenone-containing birth control pills, after several studies suggested the drugs might be associated with an increased risk for blood clots, including pulmonary embolism and deep vein thrombosis. These studies included one funded by the FDA which indicated that Yasmin and similar oral contraceptives might increase the risk for blood clots by as much as 75%. The FDA study followed nearly 800,000 women who were taking forms of birth control with drospirenone, including Yasmin. The risk was highest for women who had been taking the drugs for less than a year. In 2003, the FDA issued a warning letter to Berlex Laboratories over a 60-second Yasmin TV commercial that the agency determined was misleading. Specifically, the FDA found that the ad, entitled “Goodbye Kiss,” had wrongly implied that Yasmin was a safer alternative to other contraceptives.